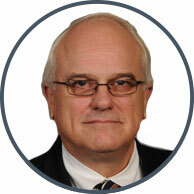 Howard has broad experience in diverse areas of Canadian, Caribbean and International tax advisory services. He has in-depth experience on both the international and domestic levels involving wealth preservation for high-net-worth clients; corporate structuring with offshore trusts and private foundations; company management, corporate secretarial and accounting; and resolving disputes with taxation authorities. He has in-depth experience internationally in corporate and personal taxation, estate and succession planning especially involving Canada, USA, U.K., Barbados and Caribbean jurisdictions. Howard was previously a co-editor of the Barbados online Library Section for the website of the International Tax Planning Association (ITPA). He has authored various taxation articles and spoken at taxation seminars and conferences. Advised and planned ultra high net worth Canadian individual's and spouse's change of residence from Canada to Barbados, including structuring of Caribbean group of holding and investment companies in St. Vincent and Barbados. Advised and planned a Canadian licensee and distributor of successful aesthetic processes in the re-location to Barbados of the owner's personal residence and international business operations, together with an offshore shareholder trust in Belize; as the platform for business expansion internationally, which included structuring of Barbados holding and licensing companies for the Caribbean, Australia and New Zealand. Advised and assisted Canadian individual and spouse resident in Ecuador on structuring corporate ownership of an Ecuador gold mining operation and development of a home cleaning services franchise in Spain, including offshore shareholder trust in new Zealand. Tax consultant to, and management of, Canadian owned group of international underwater fiber optic cable laying subsidiaries resident and registration of cable laying vessels in Barbaods.